We were delighted to test the cool looking Trunki paddlepak.Trunki are the makers of child friendly travel products which are not only are functional and practical,but they also offer a unique design that children and adults adore. 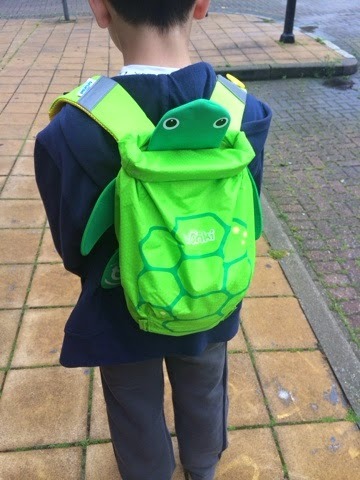 My son opted for the cool Trunki Paddlepak called Sheldon which is a cute Green Turtle, As soon as the Trunki Paddlepak arrived my son couldn't wait to try it on and take Trunki on a test run. 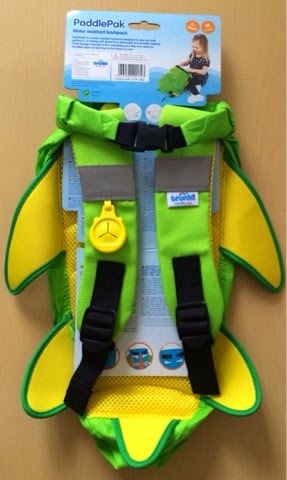 The Trunki Paddlepak is very light yet strong and looks amazingly unique. My son said he felt comfortable and was very pleased with the design and loved carrying his swim kit in his new Trunki Paddlepak. Each Trunki Paddlepak holds approx 7.5 litre in capacity and is very spacious, which means is there is amble space for my sons swimming kit and towel and snack. 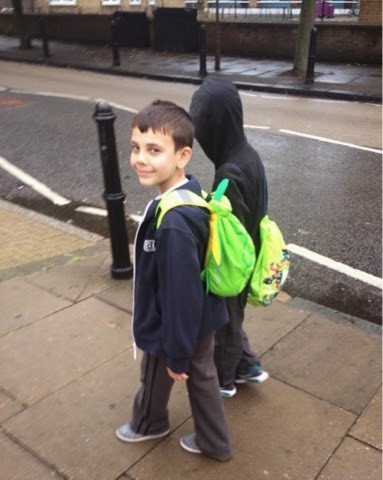 After our swim, I noticed that I had forgotten the usual carrier bag to hold in wet trunks & costume but thanks to my sons quick thinking, I loaded all of our wet swimming kits into the Trunki Paddlepak and as expected the Trunki Paddlepak kept all of the wet items in, No leakages at all. The Trunk Paddlepak is suitable for children from aged 2yrs upwards and costs £19.99. 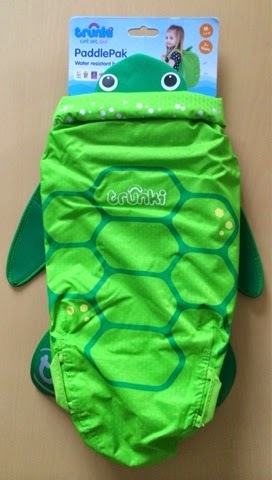 We received the Trunki Paddlepak to review, All thoughts and opinions are that of our own.